+ So why plan a fishing trip in the South Island of New Zealand? 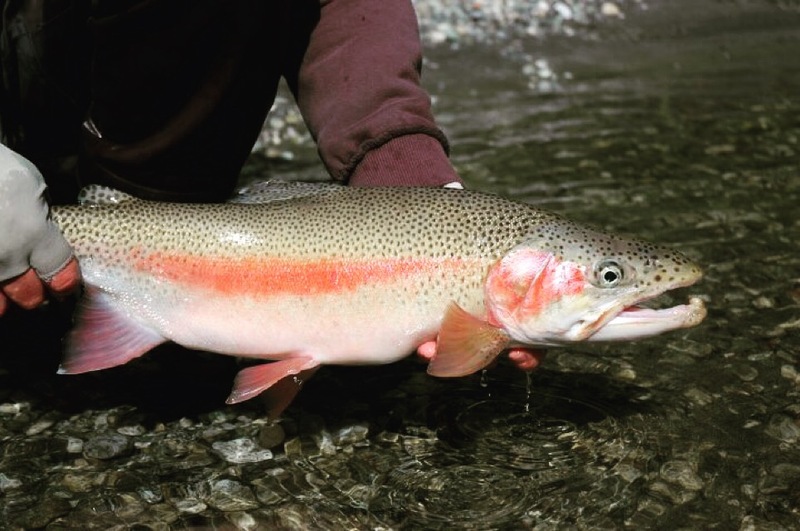 A major benefit to Fly Fishing in the South Island of New Zealand is the quality of the fish and of course the fact that we sight fish most of the time. Our scenery always surprises guests, as does the lack of other fisherman around! + When is the best time to go fishing? The New Zealand Fishing Season opens in October and closes the 31st May. There is always a compromise with when is best however when it comes to fishing my cup is always half fill rather than half empty. The beginning of the season is great as the fish have been left alone all winter and aren't very picky, mostly nymph fishing but still hook a few on drys. As the season warms the bug life becomes more prolific and the fish start looking up more. January is great we start to get the odd cicada around and nearly all our fishing is on dries. Throwing big bugs is what I really like to do the most and from mid Jan to early March thats what we are doing. Late March to April sees the return of some good mayfly hatch and hardly an angler to be seen. + What should I bring and what equipment is provided? Gordy can provide you waders and boots to your size and all the necessary fly tackle. Included is lunch and refreshments. If bringing your own gear into New Zealand please make sure it is well cleaned before entering the country to meet Customs regulations. + I only have one day, is this enough time to experience a fly fishing trip? Definitely. With a variety of locations to choose from either drive out or fly out, a one day fishing experience in New Zealand will be a memory you will cherish forever. + Why should I choose Gordy as my professional fishing guide? Gordy’s Grandfather was a hunting and fishing guide on the Arcadia Station in Paradise, the Dart Valley – which is close to Glenorchy in the Mt Aspiring National Park. + Why should I choose Gordy as my professional hunting guide? A pair of good boots is something I highly recommend. Something with Vibram soles and good edges will ensure your comfort and traction in New Zealand conditions. And of course – make sure you’ve worn them in before you venture out on your first hunt!